Travertine are available in a myriad of interesting patterns for different people’s fancies. There are the usual patterns like the French, mosaic, basket weave, rattan, herringbone, star, diamond cut. But there are constantly new design pattern releases that are refreshing as they are exciting. The colors also come in a very wide range. 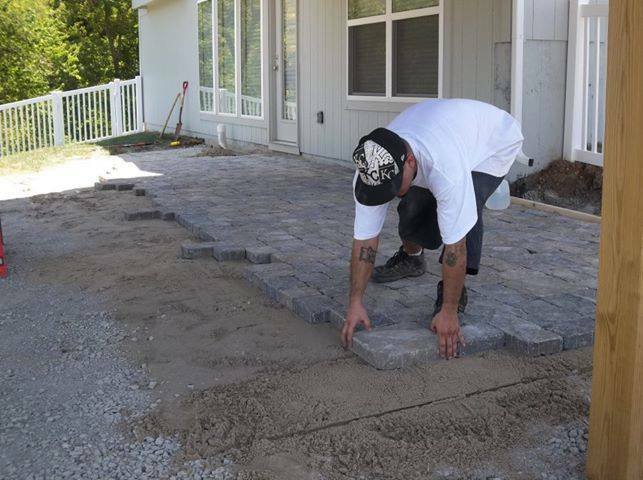 There are the more common paver colors like peach or pink, red, yellow, ivory, gold, beige, walnut and other shades of browns. But new manufacturing techniques provide newer available colors that can match and complement various color schemes of a paving project. There are also different finishes for the various different uses a project may have had for it. These often include antique, tumbled and honed. The choices for travertine pavers can accommodate even the creative and ambitious design and plans. Why is travertine good for pool decks? Other than aesthetics, there are many other characteristics that make travertine great for pool decks; its resistance to heat, mold and that it’s slip resistant are just a few. The ADA (Americans with Disabilities Act) is a federal code that requires a static coefficient of friction of 0.05. Travertine ranges from 0.06-0.07. To put it into perspective, most concrete pavers rate a 0.07. It’s travertines dimples and cavities that makes it slip resistant. If you plan on sealing your travertine, we recommend that you use a water based sealer and only apply one coat. Travertine Pavers are able to withstand cold weather conditions given that they have been properly installed and are premium grade. They are not only able to withstand freeze-thaw cycles but also extreme heat, their natural coolness provides an excellent walking surface for bare feet. Travertine will initially cost more than concrete pavers. However, travertine will keep it’s color indefinitely, compared to other options like stamped concrete or even concrete pavers which will all fade in time. I am pleased to introduce a new service: Flooring Removal. We are now resourced with the equipment and expertise to manage of all your large scale flooring removal jobs. This new addition allows to take care of all of your demolition needs. Rather than dealing with multiple demolition contractors, you can now work with your exclusive partner; a contractor that sees the big picture and understands the entire project. We are now a turnkey operation, removing flooring and completing all deconstruction and demolition when it makes sense for you and the project, rather than on prescheduled, potentially inconvenient dates.